Teaching the Holocaust can be challenging. The VHEC supports teachers and educators by providing regular professional development opportunities led by experts in Holocaust education. 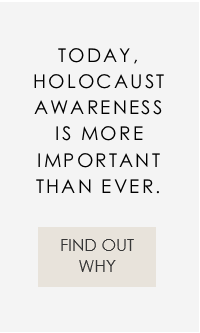 Have you developed a unique course or resource that teaches about the Holocaust? You may consider applying for our Kron Sigal Award for Excellence in Holocaust Education that recognizes annually a BC teacher who has demonstrated special distinction in the field. The VHEC is proud to partner with Facing History and Ourselves, The British Columbia Social Studies Teachers’ Association (BCSSTA) as well as the Department of Philosophy and Department of History at Simon Fraser University (SFU) for a three-day summer seminar Foundations for Genocide Studies: Holocaust and Human Behaviour, taking place from June 24-26, 2019 at SFU Vancouver Campus (June 24-25) and the VHEC (June 26). Learn current scholarship on genocide, the history of the Holocaust and new research focused on human behavior, group dynamics and bias. Increase their ability to facilitate respectful classroom discussions on difficult issues such as racism, antisemitism, and other forms of exclusion. Learn a new way of structuring curriculum to help students connect history to their own lives and the choices they make. Engage with classroom-ready multimedia resources and interactive teaching strategies that help students develop historical thinking skills, think critically, and discuss controversial issues respectfully. Experience integrated content learning through artefacts from the collection of the Vancouver Holocaust Education Centre. Listen to a testimony of and engage with a VHEC Holocaust Survivor Speaker. Held every two years, the conference attracts educators from across British Columbia and elsewhere. This day-long event offers participants an opportunity to hear from internationally renowned speakers, historians and educators at the forefront of Holocaust studies. Educators share best practices related to teaching the Holocaust in elementary, secondary and university settings. Sponsored by the David & Lil Shafran Endowment Fund of the VHEC. The Kron Award for Excellence in Holocaust Education is presented annually to a BC teacher who has demonstrated dedication to teaching students about the Holocaust and its important lessons for humankind. The award was established in memory of Meyer and Gita Kron, Lithuanian Holocaust survivors who re-established their lives in Vancouver and maintained a life-long commitment to education. A few years ago, the award was renamed to include their daughter, Ruth Kron Sigal, who survived the Holocaust in hiding, and who passed away in December 2008. Ruth was a VHEC outreach speaker and community leader, serving as Director of the Women’s Resource Centre at UBC for over 25 years. She was a regular speaker at the VHEC’s Annual Symposium on the Holocaust. At its Annual General Meeting on June 20th, the Vancouver Holocaust Education Centre proudly presented the 2018 Kron Sigal Award for Excellence in Holocaust Education to Sharon Doyle who teaches at South Delta Secondary, Delta, BC and Julie Mason, a teacher at David Oppenheimer Elementary, Vancouver BC. Congratulations to these outstanding educators.